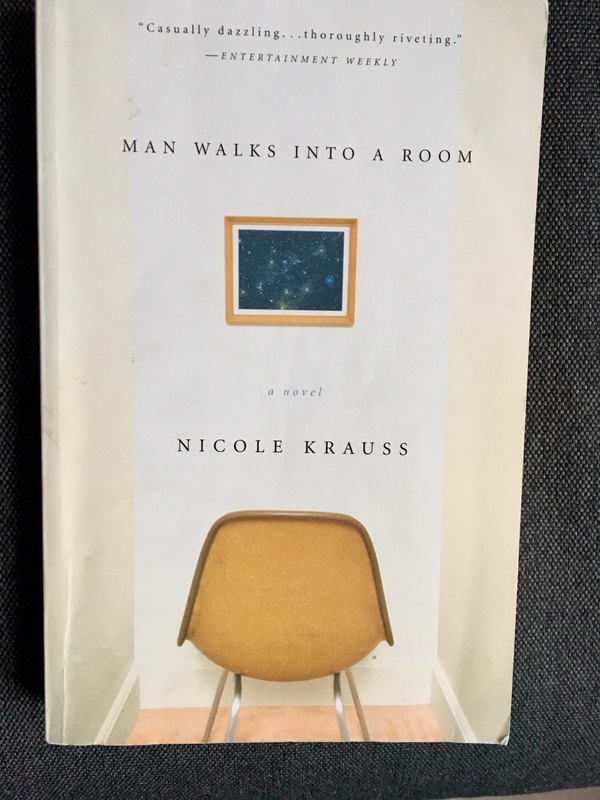 This entry was posted in American Literature and tagged Man Walks Into a Room, Nicole Krauss by Simon Lavery. Bookmark the permalink. Nice, Simon! Very subtle. Wrote a tweet to you on this and will def. try to find a jewel of Leonard Bishop novel-writing wisdom on this. It is amazing how much waterfront his magnum opus “Dare To Be A Great Writer” covered! Cheers. Thanks for that, Maureen, and the tweets. I remember reading The History of Love years back, and feeling somewhat cheated. It didn’t match up to those expectations from the hype; I finished it feeling bemused, and assuming I’d missed something or was clearly not up to the task. I wonder if I were to read it again now, whether I’d find it a different experience. Either way, this one doesn’t appeal! I felt the author has ability, as I hope my post indicated, but the overall effect was less than convincing. The dog was good, though. This is not directly related to the book, Simon, but I was surprised to hear that Ms. Krauss’s former husband was Jonathan Safran Foer, who is noted for using frequent use of “modernist literary devices” and, well, gimmicks in his work. Again, there are some writers who “check off all the boxes” and are expected to be good, and I wonder if there is a herd mentality at play sometimes. In an article called “Extremely Cloying and Incredibly False,” literary critic Harry Siegel wrote in the New York Press, “Foer is supposed to be our new Philip Roth, though his fortune-cookie syllogisms and pointless illustrations and typographical tricks don’t at all match up to or much resemble Roth even at his most inane.” The Huffington Post contributor Anis Shivani included him in his list of the fifteen most overrated modern American writers. I bring this up not to “gossip” but to note it is an odd phenom, we had some local poets who were the same way. They “checked all the boxes” and came in with high expectations at readings but were sometimes “Meh” then a very unprepossessing chap would show up with more powerful work. Unfortunately, sometimes someone’s “image” impacts how they are viewed, at least in the short term. I found Everything Is Illuminated pretty annoying, and agree that the media have a habit of briefly lionising a new writer before they’ve truly proved themselves. His anthology about Joseph Cornell was interesting, but more for the illustrations than the stories- I don’t remember his contribution. Ms Krauss is the better writer on the basis of this one novel of hers I’ve read. Maybe like Paul Auster and his wife – at least in his later career.